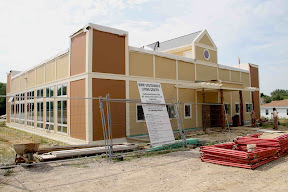 This week Stuart and I speak with Prof. Lonnie Gamble about a wide range of sustainability issues and take a walking tour of Maharishi University of Management's new Sustainable Living Center in our hometown of Fairfield, Iowa. 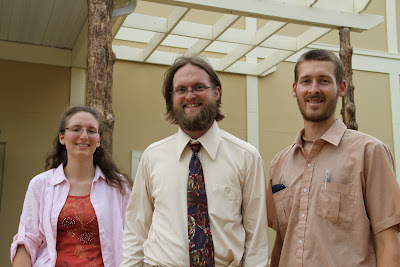 We also speak with Sustainable Living Dept faculty speak with Sustainable Living Dept faculty member Travis Cox and check in with two MUM sustainability students, Minca Borg and Jim Schleppenbach. I call Prof. Gamble Lonnie Appleseed because he seems to plant seeds of possibility in every mind he touches and everywhere he goes. Join us for a lively discussion of all things green on Thursday, August 4th at 7pm CST on solar-powered www.kruufm.com. Dream Green is a KRUU-LP 100.1 FM project. Brought to you by the community crew over at http://kruufm.com!